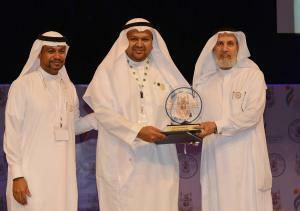 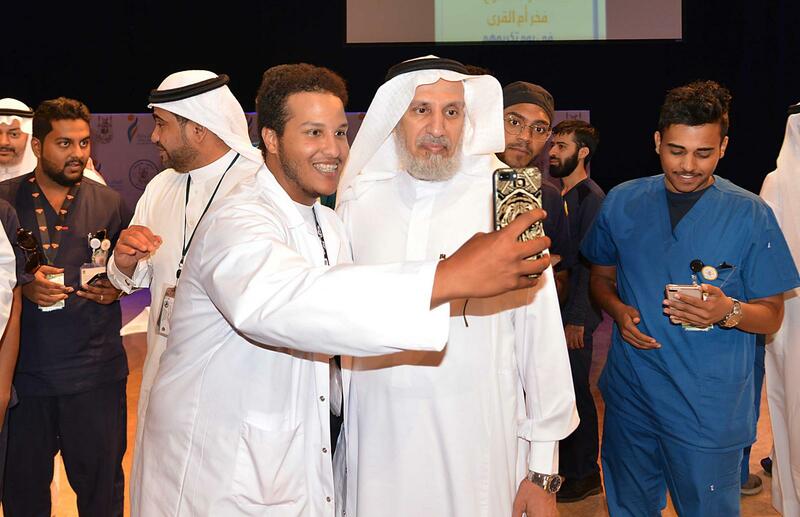 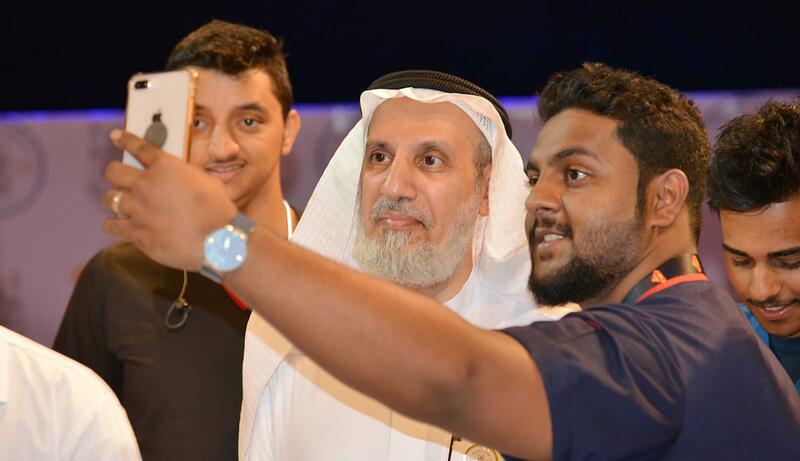 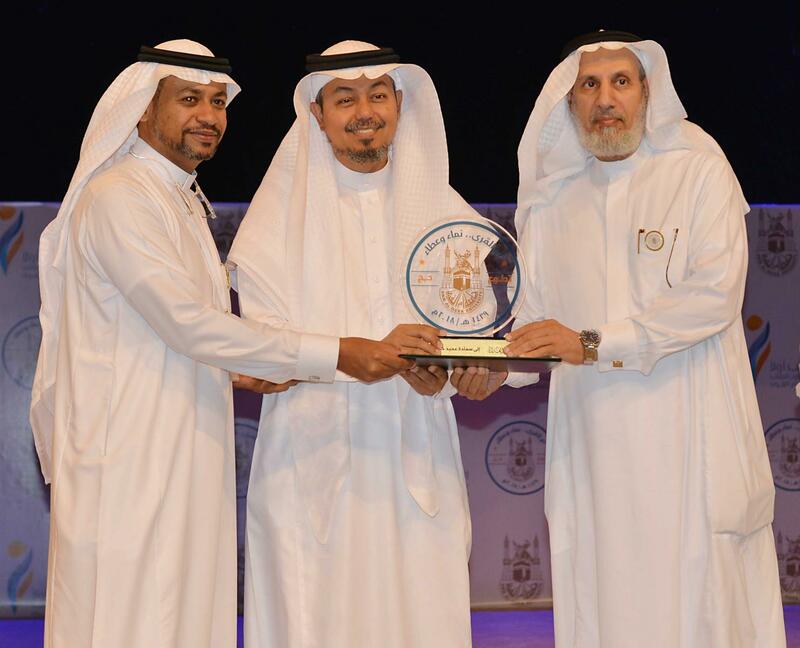 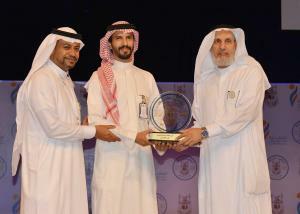 The President of UQU, Dr. Abdullah Bafail, has honored the volunteering students who participated in the Hajj work for year 1439AH during the ceremony organized by the Deanship of Student Affairs at the University. 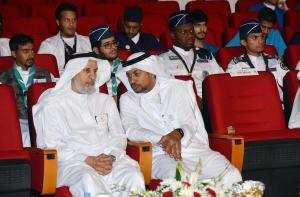 The number of volunteers from the medical colleges of the University was nearly 1000. 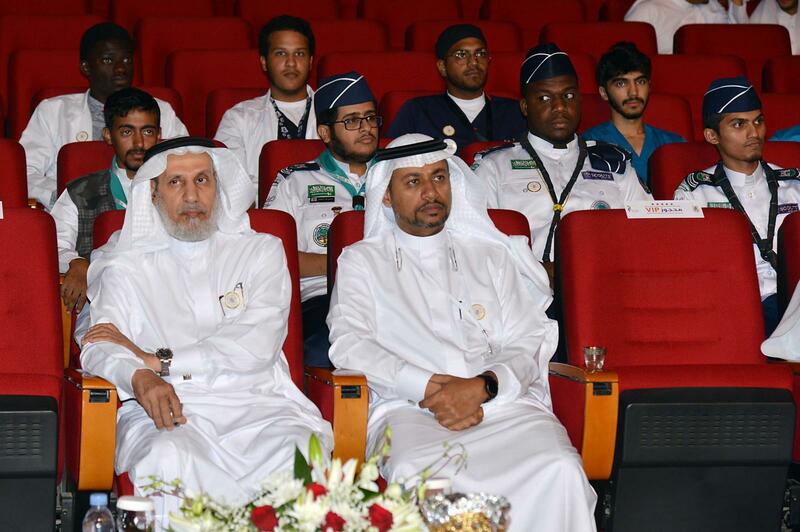 The honoring took place in the presence of Dr. Abdul Aziz Sorouji, the Vice President of the University for Educational Affairs, in addition to the Dean of Student Affairs, Dr. Amr Al-Saqqaf, and the Vice Deans of Students Affairs as well as the Deans of the participating medical colleges at the boys section, in addition to Dr. Sarah Al-Khouli, the Vice President of UQU and the Vice Deans of Colleges at the girls section at King Abdulaziz Historic Hall at the University Campus in Al-Abideyah on Monday 6/2/1440AH. 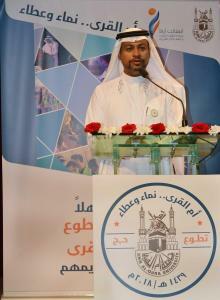 The ceremony started with reciting verses from the Holy Qur’an. 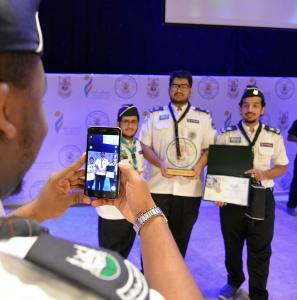 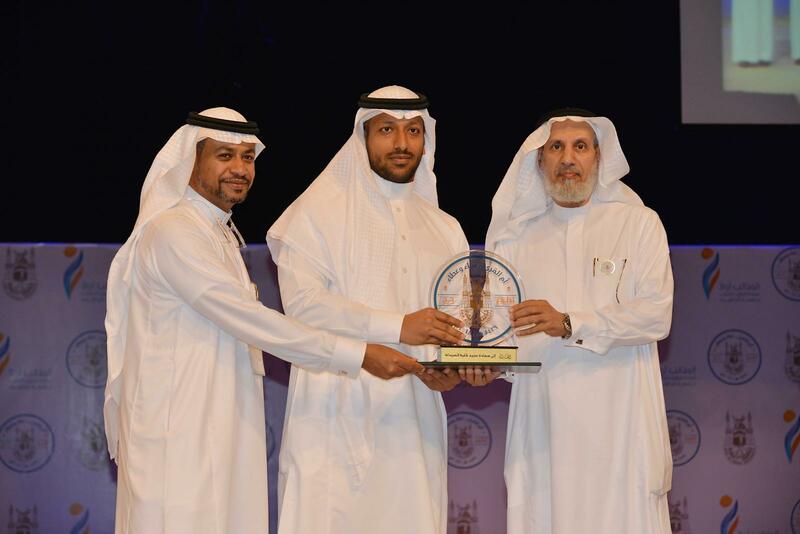 Afterwards, Student Bassil Al-Mansouri, from the College of Applied Medical Sciences, delivered a speech in which he stressed the importance of volunteering and the prominent role played by volunteers in serving pilgrims. 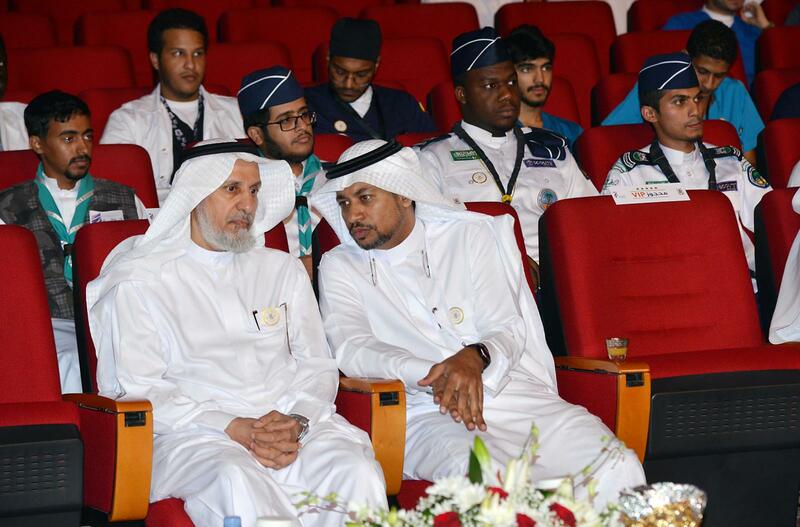 He thanked all those who contributed to supporting volunteers, then student Duaa Sabri spoke on behalf of the volunteers participating in the Hajj work, after which everyone watched a visual presentation about the participation of students and volunteers in the Hajj work. For his part, Dr. Al-Saqqaf, the Dean of Student Affairs, talked about the efforts of students and volunteers in the work of Hajj in year 1439AH from medical colleges and Asha’er Al-Jawalah Club. 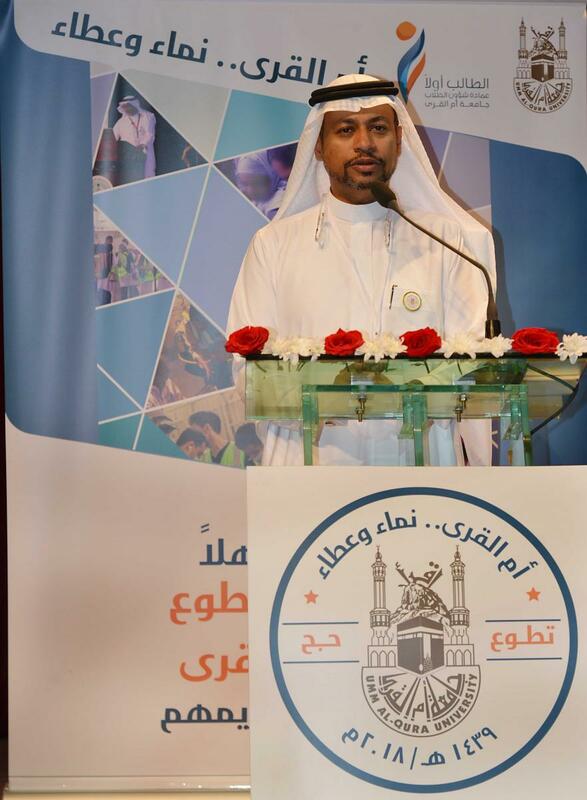 He explained that this kind of voluntary work is in line with the vision of the Kingdom, the 2030 Vision, noting that voluntary work has become one of the basic pillars of community service, praising the cooperation of different sectors and bodies. 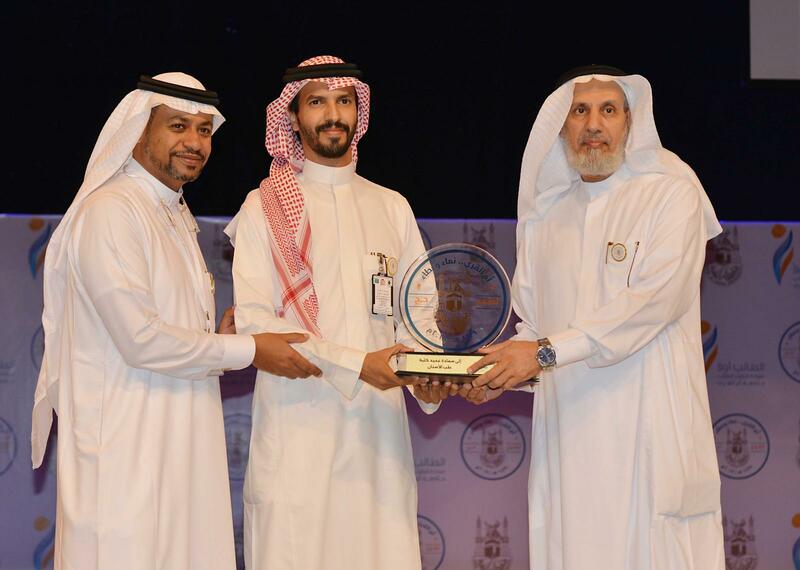 He extended his thanks and appreciation to the UQU President for his support and guidance to all the programs and activities of the Deanship which it organizes to serve the students of the University.